70% of employee training is forgotten within 24 hours. 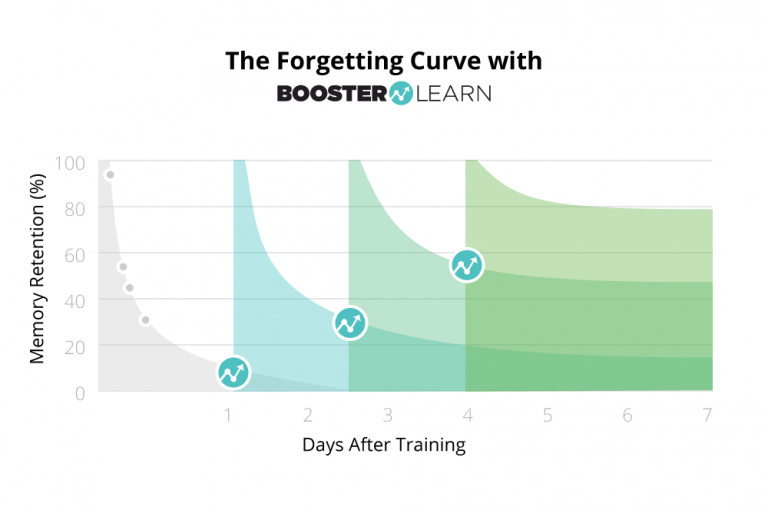 Change this forgetting pattern by systematically reinforcing employee learning with BoosterLearn. 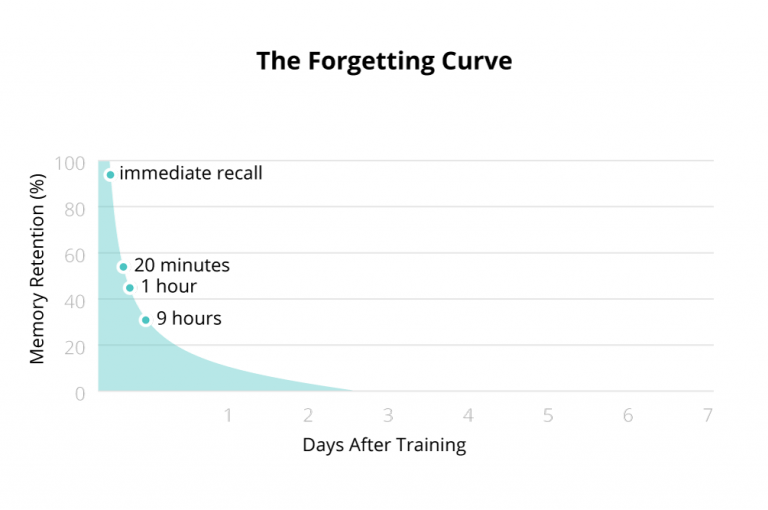 The forgetting curve illustrates how memory rapidly declines after training. Within a matter of days, more than half of knowledge is simply lost, and along with it, your investment in delivering that training. BoosterLearn, a solution based upon the science of learning, helps you reinforce learning by systematically boosting the training in the days and weeks following employee training courses. With BoosterLearn, you’ll have access to scientifically validated methods using polls, questions and even videos that help your employees remember what they’ve learned. Boosts arrive via email in the days and weeks following completion of a training course or program. Boosts include quizzes, surveys, polls, and reflective questions that help your employees to recall essential information. To learn more about maximizing your Training ROI with BoosterLearn, complete the form below.